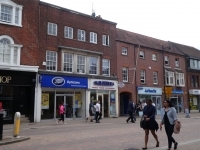 Self contained ground floor lock up retail in Newbury's main shopping street. Planning is available for a purpose built 36,600 sq ft warehouse at Greenham Business Park, Newbury. available on flexible terms from �,250 pax. Serviced offices available to lease.